Whether you are driving a high-performance car or the family transportation, your car is a major investment. You have spent thousands of dollars and may still be paying off the car loan. That investment has to be protected with some of the very best maintenance service possible. That high quality is going to come from an ASE certified mechanic. ASE is the acronym for Automotive Service Excellence. This organization awards certification to mechanics who are above and beyond the ordinary in expertise. Here are some reasons why you should consider an ASE certified mechanic. Certification is not just handed out to people. An individual first has to give evidence of two years of experience and then there is the testing. Eight areas of the automotive mechanic field are in the testing. The tests cover topics such as engine repair, automatic transmissions, transaxles, manual drive trains, axles, suspension and brakes, electrical systems, heating and air-conditioning, and engine performance. A mechanic has to pass at least one test to receive certification. That test has to be taken every five years to keep it current. This means that the mechanic has to continually stay informed on developments in a particular area. Cars are not the nuts and bolts machines that your parents and grandparents drove around in. Increasingly more of the performance of the car is determined by a computer chip. The technology by itself can be very complex. ASE certified mechanics are trained in the latest developments. Having one of these people work on your car is a guarantee that a knowledgeable professional is on the case. If you have a high-performance car and you are having a non-certified mechanic to work on it, you are paying for his or her education. The mechanic may be a very enthusiastic person with great customer service skills. However, it isn’t likely that this person knows a lot about the workings of a high performance car. It is going to be a learning experience that takes time. This will cause the labor cost to rise and sometimes go up dramatically. An ASE certified mechanic charges a little bit more but will work a little bit faster. In addition to that the work is going to be extremely good. You may discover that you’re actually paying less because the expertise is the best. The ASE certified mechanic is not just out of trade school. The two-year experience requirement aside, most ASE mechanics have several years of experience in addition to the minimum requirement. In fact, a number of automotive care centers have ASE certified mechanics with twenty or more years of working on cars. It means that they have an understanding of automotive repair; the less experienced person may not have it all. Their work with cars in the past alert them to situations others would ignore. It can be considered a quality bonus for anyone having worked done on their automobile. These mechanics are quite literally at the top of their game at all times. Anyone who has a high performance car ought to insist on ASE certified mechanics. It is something that should be investigated before bringing a very expensive model into the shop. You have spent a considerable amount of money on such a car. The last thing you deserve is to have an inexperienced rookie go into the mechanical interior. Mistakes can happen because of inexperience but that doesn’t lower the cost of the repair. Frankly, it is a risk to put a Mercedes or BMW in the hands of somebody who doesn’t quite know what to do. Every car owner wants to get as much life out of their vehicle as possible. That happens when there is good maintenance work being done. 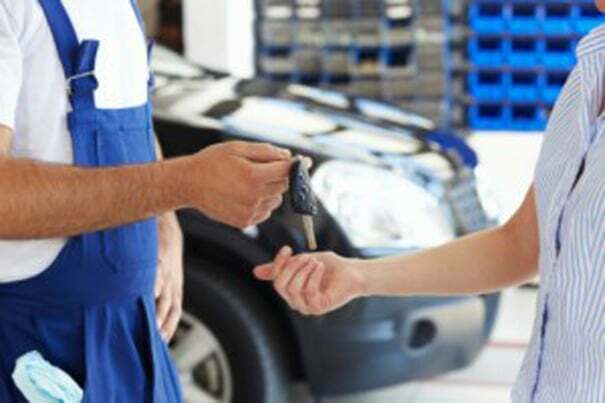 A highly trained and certified mechanic is the best guarantee of getting the very best repair work and maintenance done. The cost of labor is not that great if the time element is factored into it. 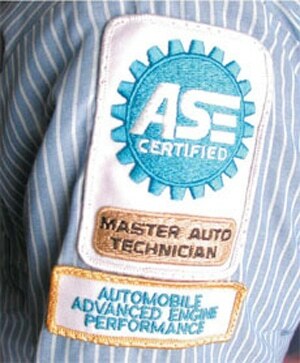 The ASE certified mechanic can move quicker than inexperienced person, and can solve problems faster. That makes the overall expense lower than ordinarily anticipated.